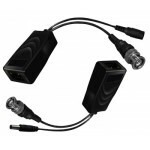 Baluns are commonly known as UTP Balun or Video Balun Adapters. These simple little balun devices have allowed the CCTV industry to move away from the use of traditional coaxial cable on to more modern wiring such as CAT5 or CAT6 cabling. Network wiring is more cost effective and becoming more prominent as well than coax. Often you will find a property prewired with category 5 or 6 cabling, making the installation of CCTV cameras a breeze by using video baluns to piggy back on to the existing wiring. For example, if you are beginning a CCTV System installation in a an office building there may already be CAT3 or CAT-5 telephone lines. Presence of such cabling can eliminate the need to run coaxial cable. Also important to note is that you only need one twisted pair (two wire leads) to run one video signal. In a network CAT5 or CAT6 cable there are 4 pairs of 22 gauge twisted pair wiring, which means you can run up to 4 security camera video signals per CAT5/CAT6 wire. 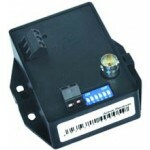 When choosing the correct Balun for your use, you should consider the distance of transmission. There are 2 types of Baluns, i.e. passive balun (non powered), and active balun (powered). 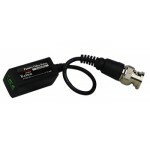 For video transmission less than 1000ft, passive balun can be used on both the receiving and transmitting end. 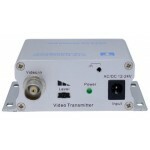 For distance farther than 1000ft we recommend the use of Active Balun Video for the Transmitter and Active Balun Receivers for the best quality video signal up to 3000ft. 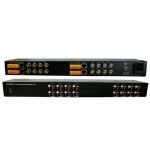 16 Port Passive Video Balun Transceiver that can be used as either a Transmitter or Receiver to transmit video signals up to 1000ft.